Electrostatic discharge (ESD) is “the rapid, spontaneous transfer of electrostatic charge induced by a high electrostatic field. Usually, the charge flows through a spark between two bodies at different electrostatic potentials as they approach one another”. Electrostatic discharge can change the electrical characteristics of a semiconductor device, degrading or destroying it. ESD may upset the normal operation of an electronic system, causing equipment malfunction or failure. (Source: ESD Association 2017 Catalog, EOS/ESD Association). 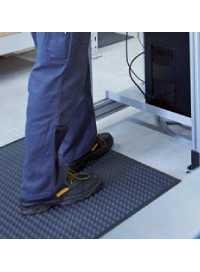 The European standard EN 61340 has stipulated certain parameters required for an ESD chair to provide proper ESD protection. 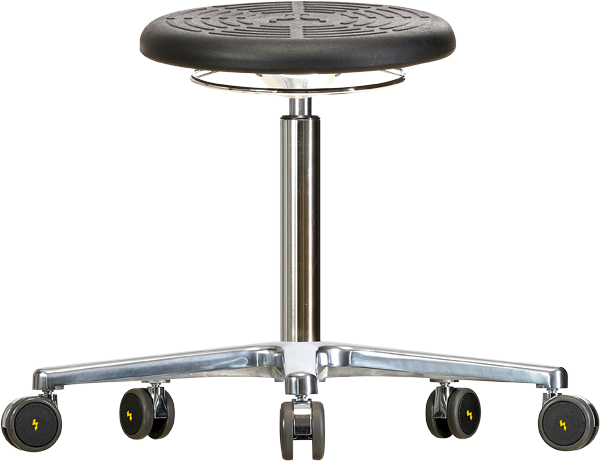 These standards state that for any workplace chair to be ESD safe, the conductivity should be between 104 – 106 ohm. 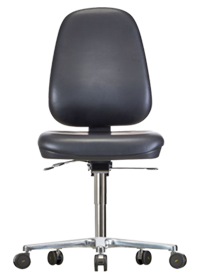 Messung-Werksitz ergonomic ESD chairs and stools provide protection against electrostatic discharge in accordance with these EN 61340-5-1 standards. 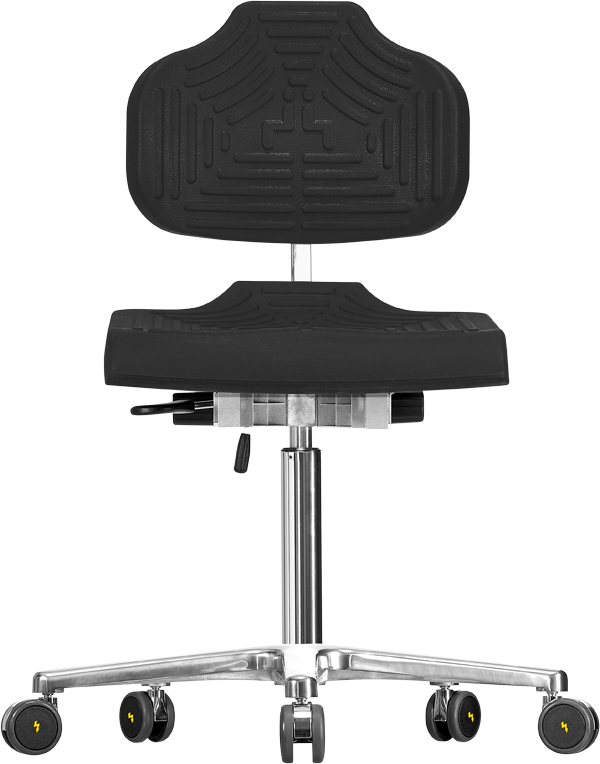 Customers often rely on Messung-Werksitz ergonomic ESD chairs and stools for protection of their sensitive electronic components against any possible electrostatic events. 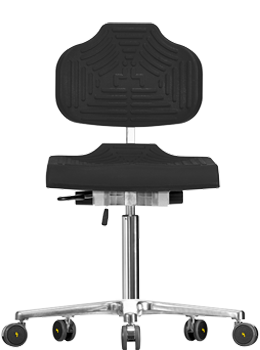 This premium ESD ergonomic chair from Messing-Werksitz offers plenty of room for healthy, dynamic sitting thanks to their ergonomic, tilt adjustable seats and high backrest with individually adjustable contact pressure. 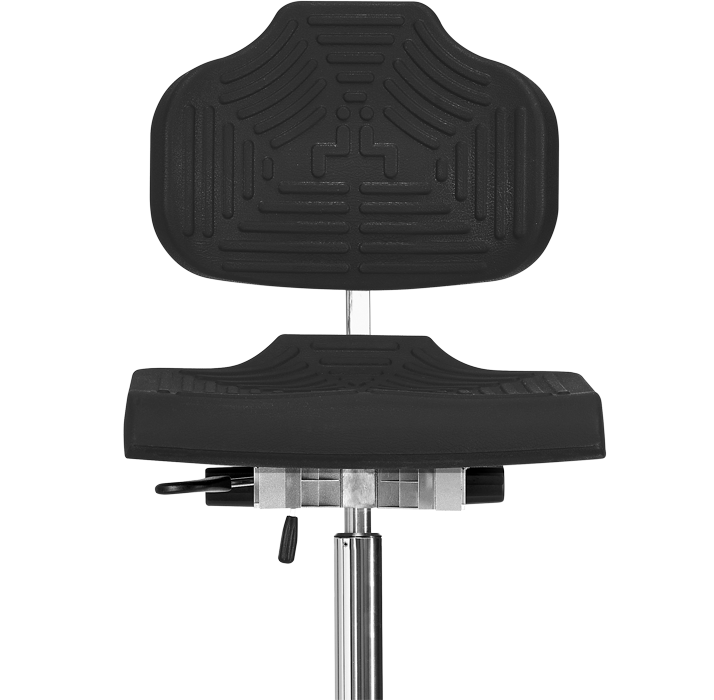 Seat positions can be adjusted easily with just a few quick motions. Adjusting elements are functionally arranged and are easy to use. 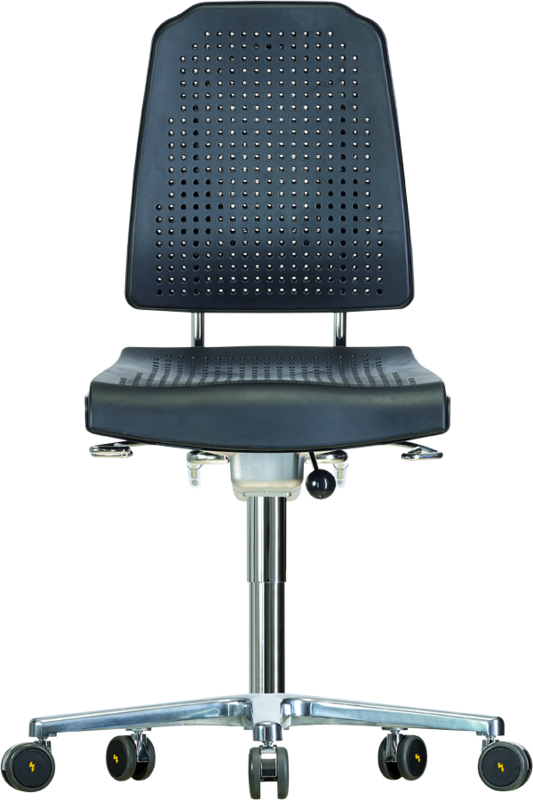 The fully perforated seat and backrest of these ergonomic ESD safe chairs provide continuous air circulation and optimum sweat free working conditions in ESD lab environment. Removable and interchangeable Viscoelastic PUR integral foam cushions ensure optimum occupational hygiene, especially in multi-shift operations as the cushions can be easily removed and cleaned with any cleansing agent with less than 40% alcohol. 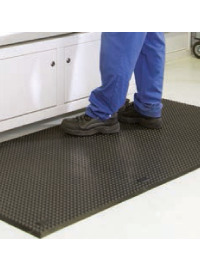 Other features include – washable ESD safe material, chair seat and backrest which retains its ESD properties even after washing. 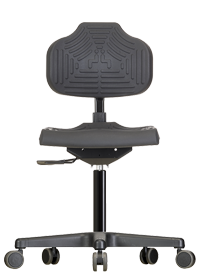 This low back ergonomic ESD chair from Messung-Werksitz is built for rugged and tough work conditions. 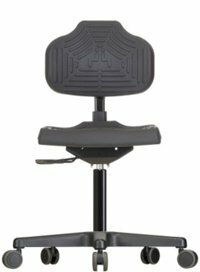 This is our affordable introductory ESD ergonomic chair which promotes a healthy, ergonomic sitting posture under any lab conditions. 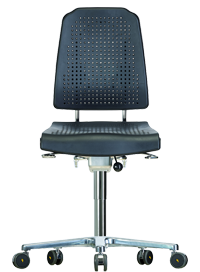 The rugged yet sophisticated features of this special ESD safe chair enables comfortable posture while seated. 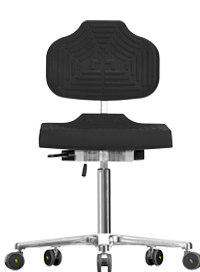 User-friendly operating elements make it easy for users to individually adapt their chairs to the desired seat positions. Other features include – washable ESD safe chair seat and backrest material which retains its ESD properties even after washing with any cleansing agent with less than 40% alcohol or even water. 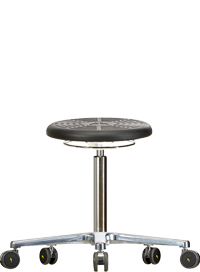 This ergonomically designed ESD stool is built for use in any ESD safe area. 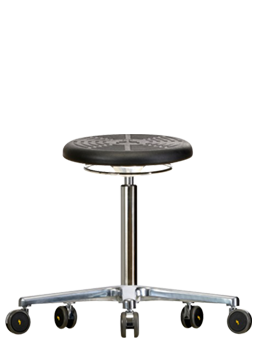 This ergonomic ESD stool is built with hard wearing metal components and fitted with PUR integral foam seat for utmost comfort. 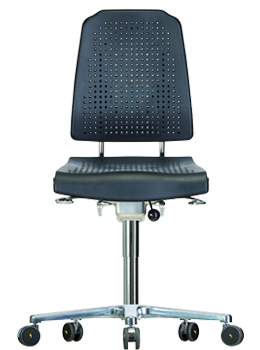 User-friendly height adjustment operating ring makes it easy for the user to change the height in any position. 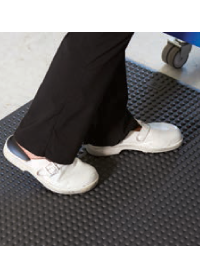 Other features include – washable ESD safe stool seat material which retains its ESD properties even after washing with any cleansing agent with less than 40% alcohol or even water.